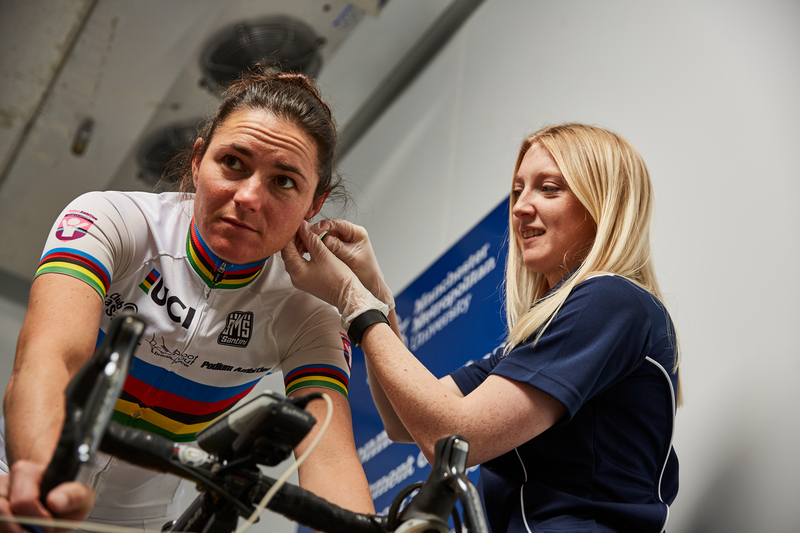 Champion cyclist Dame Sarah Storey won the Para-cycling World Championships road race after preparing in the University’s sport science environment chamber for the gruelling Italian summer conditions. Dame Sarah won the UCI road race earlier this month, spending time at the Cheshire campus training facilities to prepare for the hot and humid conditions of Maniago, in north east Italy. The long-running partnership between Storey and Manchester Metropolitan’s Sport and Exercise Science Department stretches back several years. After her latest win, Storey has an amazing 31 world championship titles to her name in two sports – cycling and swimming. The environment chamber is able to simulate the climate of locations around the world, helping athletes and researchers to prepare and test for different temperatures and humidity. I have been working in the chamber at 13% oxygen and the heat in there has been 32C and at 80% humidity – so it’s been quite spicy and quite tough training! 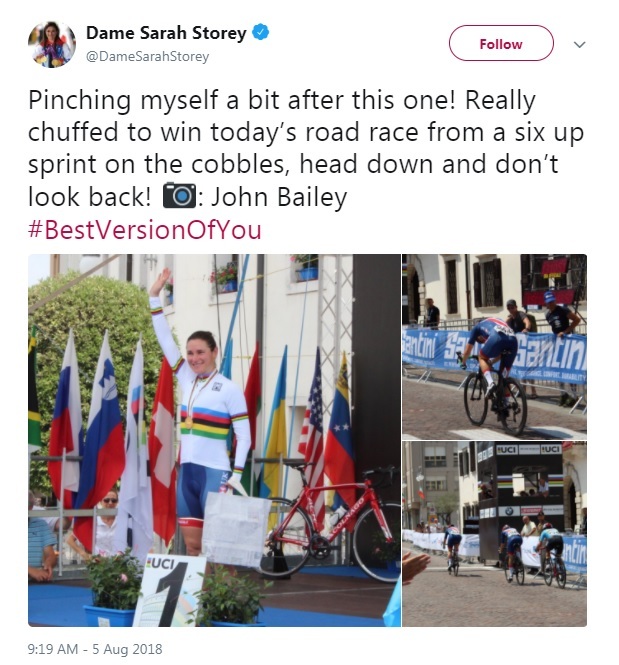 Speaking at a recent University graduation ceremony, where Storey was an inspirational speaker, she praised the sport science support for giving her an edge over rivals. “I have been preparing for the Para-cycling Road World Championships over the course of the last two or three months with the help of the team down at the Crewe campus in Cheshire,” she added. “The environment chamber is able to go to quite hot temperatures and humid temperatures, and it is also able to give me hypoxic training (reduced oxygen). “I have been working in the chamber at 13% oxygen and the heat in there has been 32C and at 80% humidity – so it’s been quite spicy and quite tough training! “I have been working under the watchful eye of Georgina Stebbings who is down there at that Crewe campus, and she has been working with me for a good number of years now perfecting the training that I need to do. Dr Georgina Stebbings, Senior Lecturer in Sport and Exercise Physiology, added: "Dame Sarah is a phenomenal athlete and it’s been a pleasure to support her training in our environmental chamber since 2012. “Sarah completes training in hypoxia, where the oxygen content in the chamber is reduced to mimic altitude, which helps stimulate the production of red blood cells and makes it easier to transport oxygen around the body. The multi-talented athlete is Great Britain’s most successful Paralympian and was previously awarded an honorary degree by Manchester Metropolitan in 2003. Her partnership with the University extends beyond sport science: the Manchester Fashion Institute is working with Storey’s elite racing team, Storey Racing, to design a range of leisurewear to complement the team’s technical race clothing.